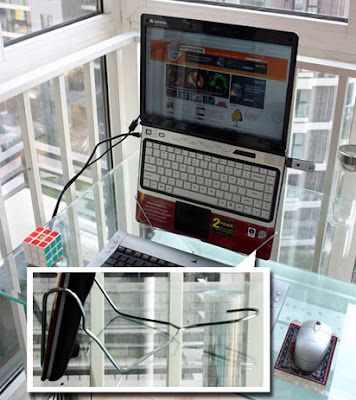 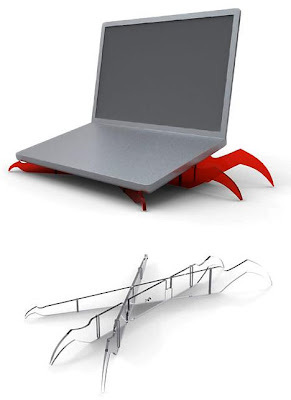 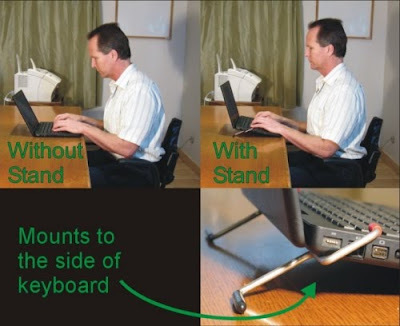 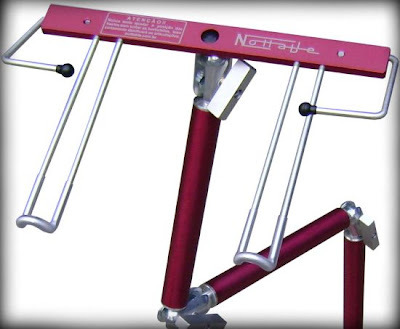 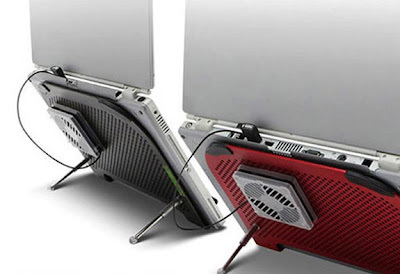 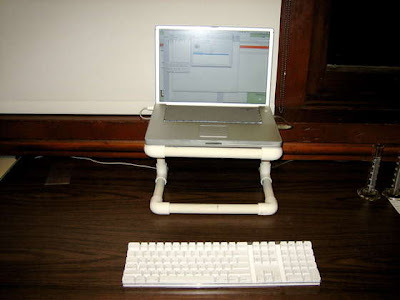 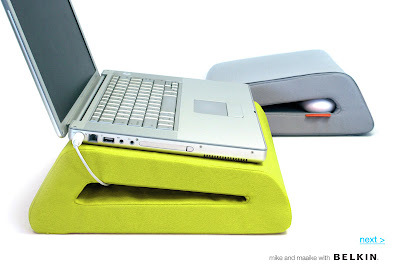 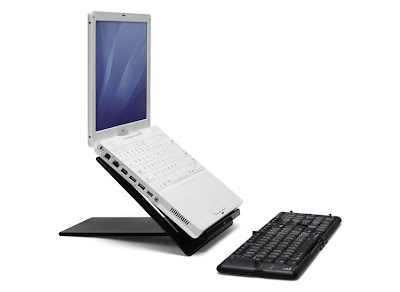 PVC Laptop Stand: A laptop stand with cable routing, saves desk space and requires no gluing. 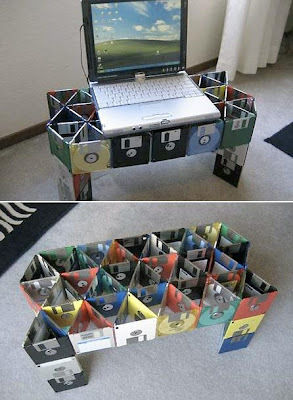 Here are the details to make one - link. 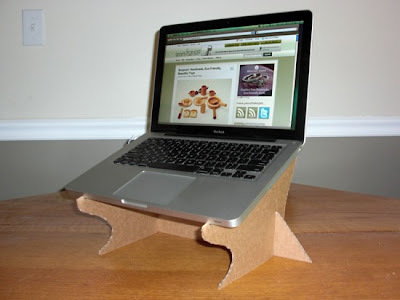 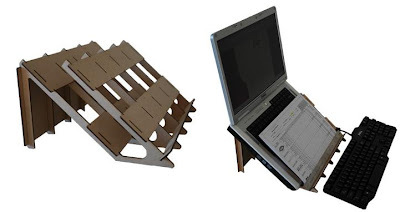 DIY Cardboard Laptop Stand: It's small, light and easy to make; here are the details - link. 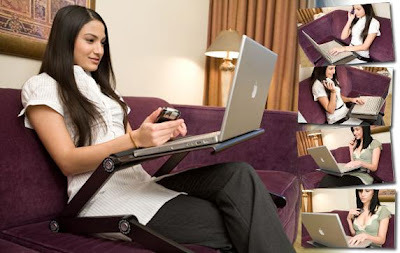 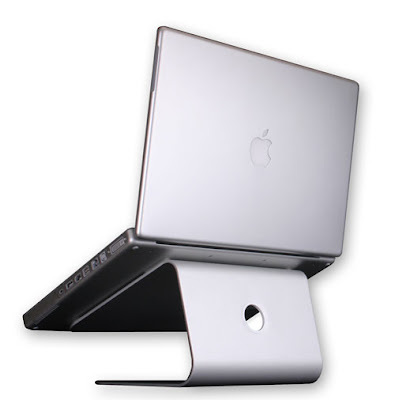 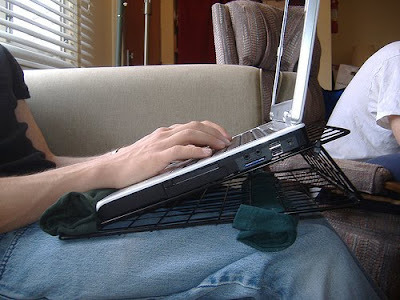 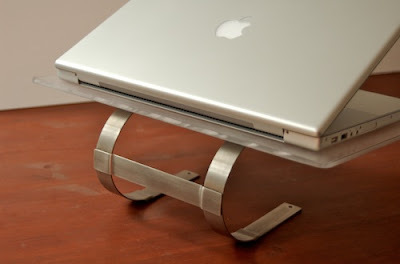 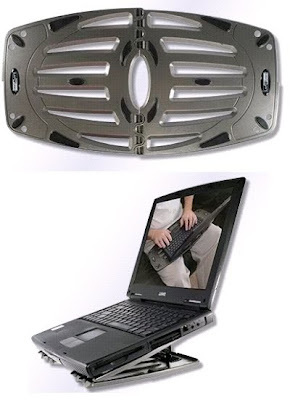 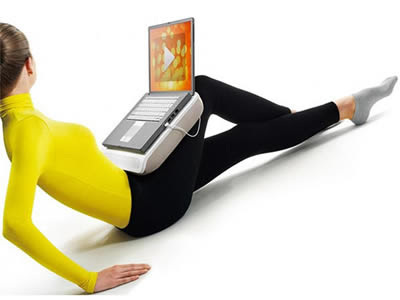 Coathanger Laptop Stand: All you need is a metal coathanger to turn your laptop into an ergonomic workstation. 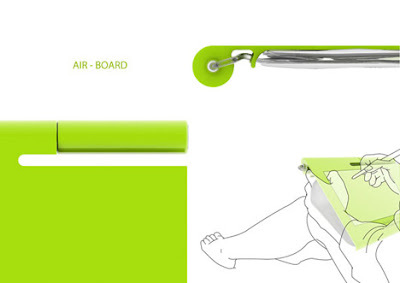 And here are the details - link. 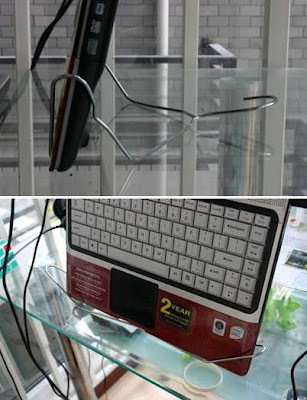 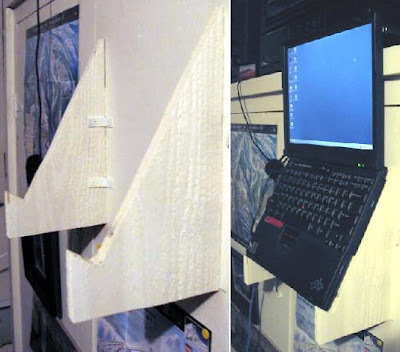 DIY Laptop Stand: Created using door stops and adhesive gripper pad on top of a wire mesh, here are the details - link.